The producers of the new documentary The Party’s Just Begun: The Legacy of Night of the Demons have unveiled a never-before-released deleted scene from the 1994 sequel Night of the Demons 2, as the crowd-funding campaign to help finance the project continues on Indiegogo. The Halloween classic Night of the Demons is celebrating its 30th anniversary this year, but the party is truly just beginning with the definitive documentary on entire four-film franchise currently in production, scheduled for release in 2019. The best part is that Amelia Kinkade reprises her iconic role of Angela from the original Night of the Demons trilogy to host the new documentary in character. To help make sure that this documentary is completed, and to guarantee yourself a physical copy of the film on DVD or Blu-ray (which will not be released otherwise), a crowd funding campaign is underway on Indiegogo here. Night of the Demons 2 stars Cristi Harris, Merle Kennedy, Jennifer Rhodes, Christine Taylor (The Craft), and Amelia Kinade, reprising her iconic role as Angela Franklin. 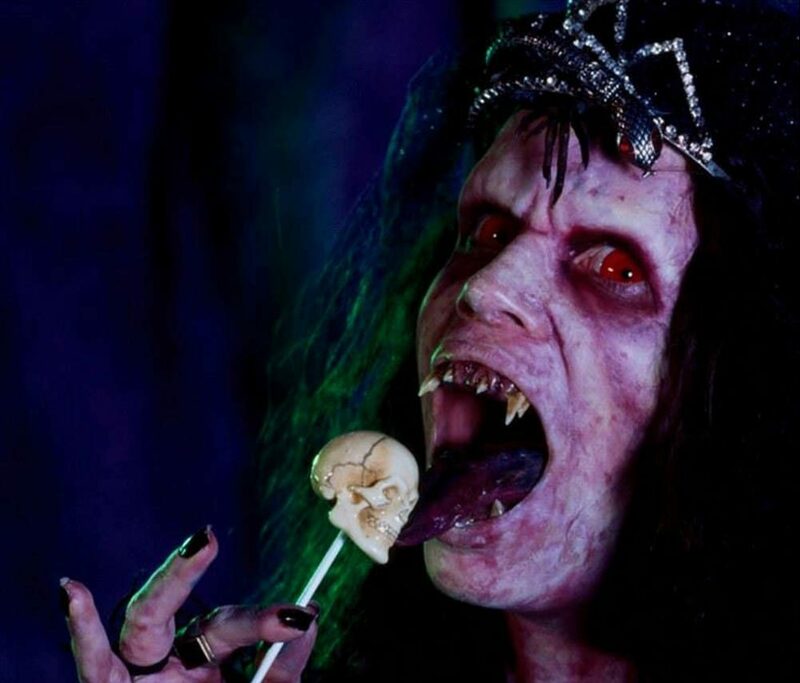 You can watch the newly unearthed deleted scene from Night of the Demons 2, as well as the official teaser trailer for the documentary, below, and be sure to read our interview with writer Chris MacGibbon on The Party’s Just Begun here.